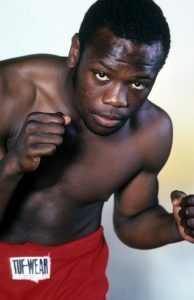 Simon Brown was one of the best fighters in the welterweight and junior middleweight divisions in the late 1980s and early ’90s. He unified two world titles at 147 pounds before upsetting the odds to win a portion of the 154-pound title. Impressive accomplishments, but he remains an underappreciated former champion. Brown was born in Clarendon, Jamaica on August 15, 1963, the fourth of six children to Isaac and Eva Brown, who earned a living working in banana and sugar cane plantations. Brown enjoyed a normal upbringing on the Caribbean Island before his parents decided to move the family to Washington D.C. because they felt there would be better opportunities for them in America. His introduction to boxing came by chance. A few years later in 1979 he entered a gym and met Pepe Correa. He worked out and stuck with it, fighting 16 amateur bouts at novice level. That was also when he met his best friend and future welterweight titlist Maurice Blocker. The trio headed to Atlantic City in early 1982 for Blocker’s first professional fight. However, things took a strange twist at the weigh-in and Brown ended up being penciled in for his own debut. He was correct and won a four-round decision. The Jamaican transplant quickly peeled of 17 victories over the next couple of years, fighting exclusively on the Eastern seaboard. In early 1984, Brown gained some attention as Ray Leonard’s sparring partner, helping his idol prepare for his latest comeback. “Pepe was working with Ray off and on and he decided he was going to take me to spar with Ray because it was going to give me a lot of experience,” he said. 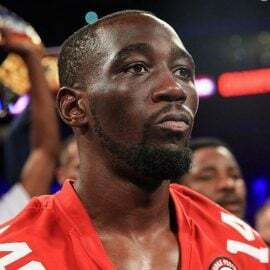 “Mantequilla” continued his path towards the welterweight supremacy, until he dropped a close split-decision against the more seasoned Marlon Starling in a USBA title bout. 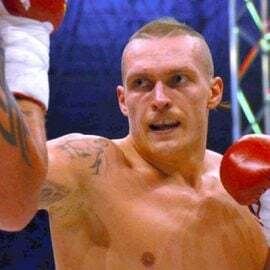 Brown bounced back with two good wins, one over unbeaten Canadian Shawn O’Sullivan, before managerial problems kept him on the shelf for 15 months. 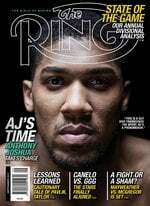 Upon his return, he was quickly matched with Tyrone Trice for the IBF welterweight title that had been stripped from Lloyd Honeyghan. The match up took place in France in the spring of 1988. It was an opportunity Brown wouldn’t let pass him by in what he says is his proudest moment in boxing. Brown then made a homecoming defense in Jamaica, stopping Jorge Vaca in three rounds. Those experiences clearly helped Brown mature as a fighter and then he was finally able to defend his title in America. He made four more defenses, including one against old rival Trice, who he stopped in 10 rounds. 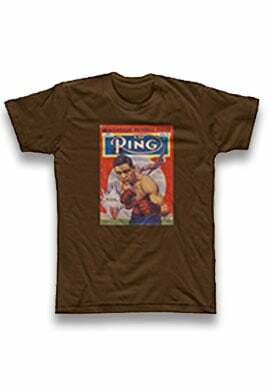 By this time Blocker had won the WBC belt by outpointing Starling. Brown agreed to meet his friend in a unification bout in March 1991. The two waged war and, at the conclusion of nine frames, Blocker – albeit narrowly – was ahead on the scorecards. Brown admits to having a feeling he was behind in the fight. 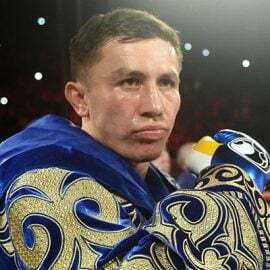 The next day the two families went for dinner together and later, in an unheard of gesture, Brown would vacate the IBF title he’d held for years as a favor to the man he’d conquered. Brown appeared too good for his own good and struggled to get the superfight he craved and deserved. By now the rigors of making 147 pounds were having an effect on Brown and it finally caught up with him against the talented Buddy McGirt. Brown was soundly outpointed in Las Vegas in the fall of 1991. The merciless struggle with dehydration caused him to spend five days in hospital afterwards. When he returned, Brown wanted to add a junior middleweight title to his resume. He was a constant on Don King undercards over the next couple of years, with the clear plan to face one of the best pound-for-pound fighters in the world – WBC titleholder Terry Norris. Brown, who had overcome a torn retina which threatened to end his career, hoped to gain a measure of revenge for Blocker and Leonard, both of whom Norris had beaten easily, and he studied the defending champion’s weaknesses for over a year. Brown would spend a month in Mexico adjusting to the altitude before the pair finally met in December 1993 in the city of Puebla. Norris and the oddsmakers showed Brown little respect. He was listed as high as a 30-to-1 underdog in some outlets but the challenger hadn’t read the script. 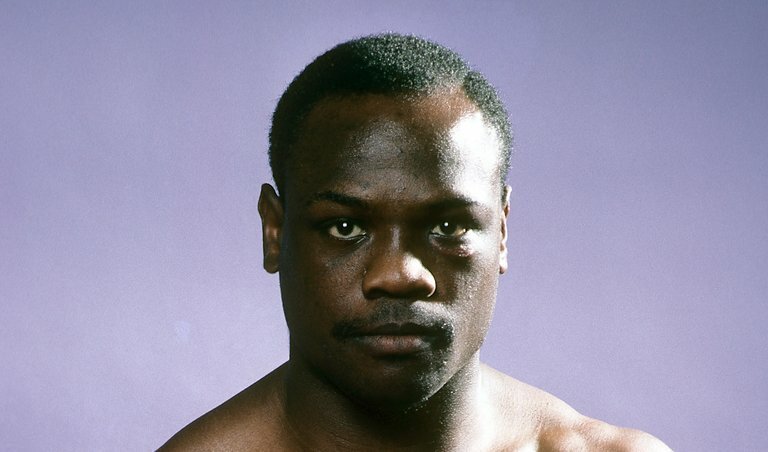 Brown would drop Norris in the final seconds of the opening round, shake him up in the second and third, and close the show in thrilling fashion with a devastating right cross in the fourth. 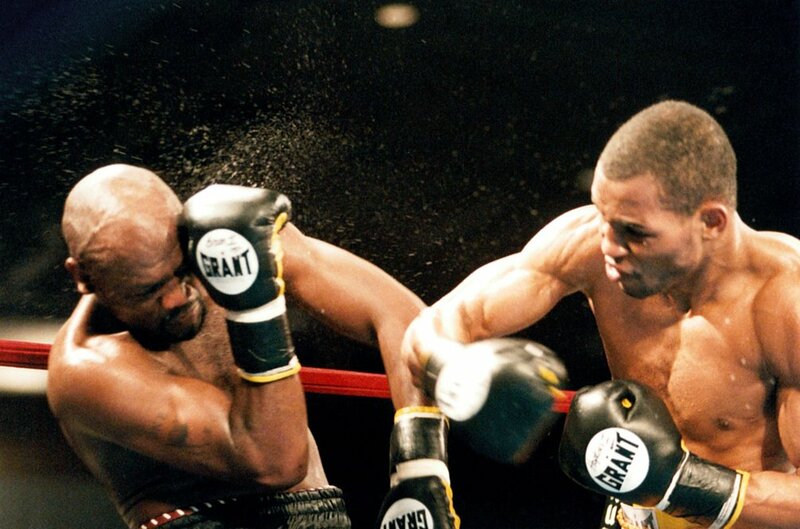 Within six weeks, Brown was defending his new title against Troy Waters before facing Norris in a rematch on Don King’s much ballyhooed “Revenge: The Rematches” card in the May. Although he was handsomely re-numerated – he made $1.1 million – Brown was unable to repeat the victory. 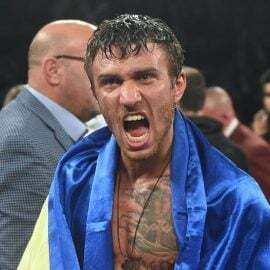 Norris showed him far more respect and elected to play it safe on his way to a convincing 12-round unanimous decision. The gallant boxer-puncher challenged three more times for world titles. 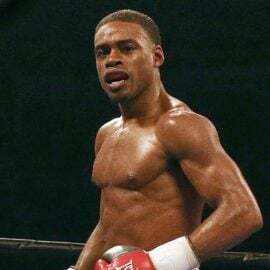 He was stopped in brutal fashion by Vincent Pettway for the IBF 154-pound title and suffered two further defeats at middleweight. 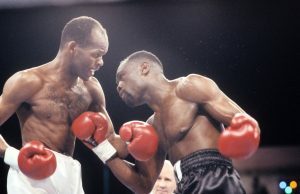 WBO 160-pound titleholder Lonnie Bradley outpointed Brown in 1996 and Bernard Hopkins handed him the second stoppage loss of his career in an IBF title defense. His final career record was (47-12, 34 knockouts). Brown, who turned 54 this month, lives in Hagerstown, Maryland, with his wife of 30 years, Lisa, and they have four children. 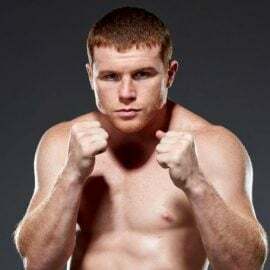 He has remained in boxing since retiring; initially working as a trainer in Los Angeles with Correa for “All American Heavyweights” before returning to the East Coast where he is a full-time trainer at his own gym where he runs a boxing academy. Maurice Blocker: I fought quite a few guys with a very good jab. Buddy McGirt had a very good jab but it wasn’t a hard jab. Maurice had a strong, stiff jab that kept you at bay. Every time you made a move to get inside he’d shoot that jab out there. Bernard Hopkins: It was hard to hit B-Hop; he kept his guard up nice and tight. You didn’t hit Maurice with a good shot right away. I had to take him to deep water and drown him. Troy Waters was a very good defensive guy, who blocked and slipped a lot. 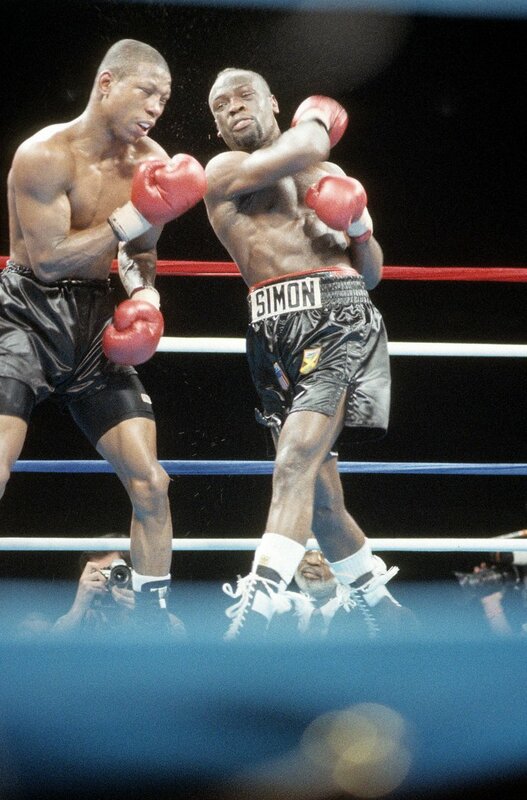 Terry Norris: Terry’s hand speed was fast because he threw lots of punches from all angles. Tyrone Trice: Tyrone Trice was fast with his feet because I had to track him down. He moved really good; he didn’t stay still, he had very good foot movement. Buddy was a good mover too. By the time I caught up with him, the fight was over. Luis Santana: I hit him with everything I had and he just took the punches and rolled with them, he was still there at the end of the fight and I won a decision. Another fighter who had a good chin was Mauro Martelli from Switzerland. Blocker: Maybe ’cause we sparred for many years. I really had to chase him down to hurt him. Maurice was the type of fighter that was hard to hit. Hopkins: He’s a big middleweight so he hits hard and takes punches good. Physically he was very strong and he’s the type of guy who always stays in great shape. Norris: He punches from all angles and isn’t afraid to get hit back. He’s a very powerful puncher. Buddy McGirt: He moved around good; he never stayed still and let you just hit on him. He was a very good boxer. He’d pick at you and move and you couldn’t hit him with a flush shot. Hopkins: He was smart. He’d ride with punches. He’d catch punches. He’d use his reach and his height. He was all around a good boxing guy. He’s a good strong fighter for his weight class. Remember I started at 147 and moved up to 160. That wasn’t my weight class. I would knock him out in my weight. Francisco Silva assisted in making this feature possible. RingTV.com appreciates his assistance.